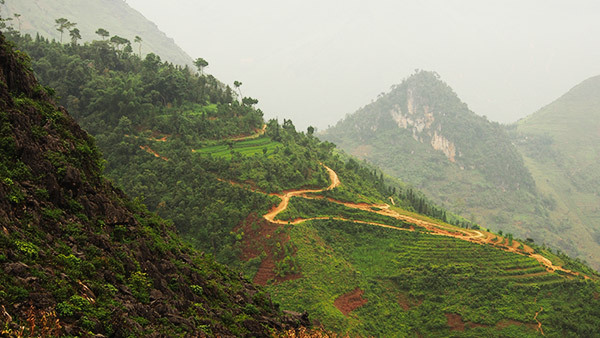 The Ma Pi Leng pass is quite possible the single best kept secret of intrepid travel in Vietnam. 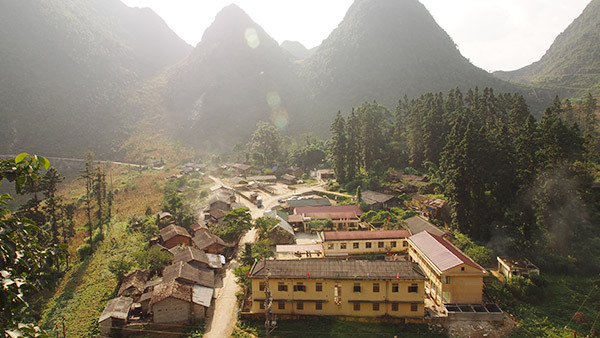 A fellow traveler had told me about these very remote towns deep in the north of Vietnam. One called Dong Van and the other called Meo Vac. I had never heard of either of them. Of course that fact alone peaked my interest. It was not so much the towns themselves, but what lay between them. 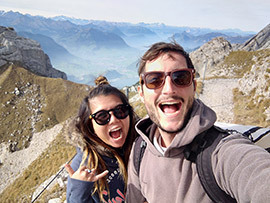 What connected them was the Ma Pi Leng pass. The single best bit of road in all of South East Asia in my opinion. This drive was so special that we did it twice. Yes, two times. We did it twice simply because we felt that we might have missed something the first time. I set off to do some research and soon discovered that there is not much information on this region. 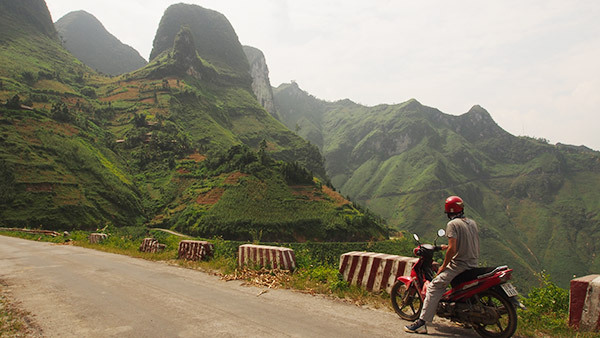 Before we even entered Vietnam I had heard of Sapa and Halong Bay. 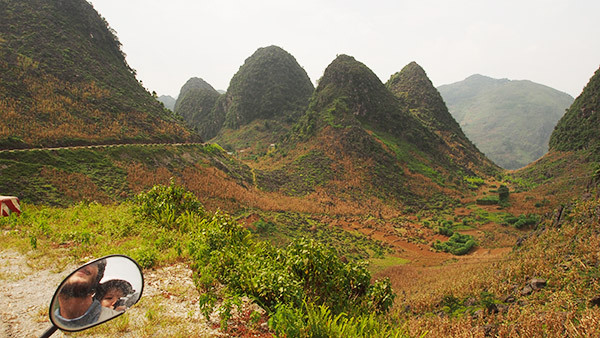 A short ride from Dong Van is where a road known as the Ma Pi Leng pass begins. 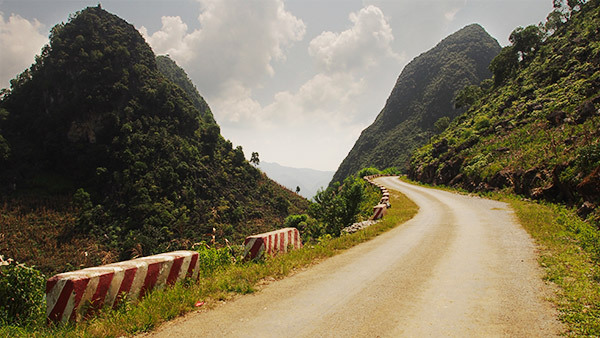 Arguably the most scenic route in Vietnam. I was very excited to ride it. The sun was out. A little Vietnamese man greeted us right before the last corner to the pass. He seemed very dazed and did not move much the entire time we were there. It was this wave of authenticity that moved my to the bone. I knew what was about to come was going to be very special. My thirst for travel was renewed and I could not wait to uncover new secrets. This little guy was not very phased by our presence. His house is right next to the giant billboard showing the Ma Pi Leng pass. It is hard to describe in words what standing on this road feels like. We have visited many places in our four months of traveling, but we knew this place was special. The sheer scale can’t be captured in a photograph. There is so much detail arranged beautifully across these impressive mountains. I felt the need to stop the bike almost every five minutes to take this place in. The photo opportunities seemed endless. It felt like riding on the very edge of the world. The hill tops were right next to the road, making for some great parallax as we rode through. 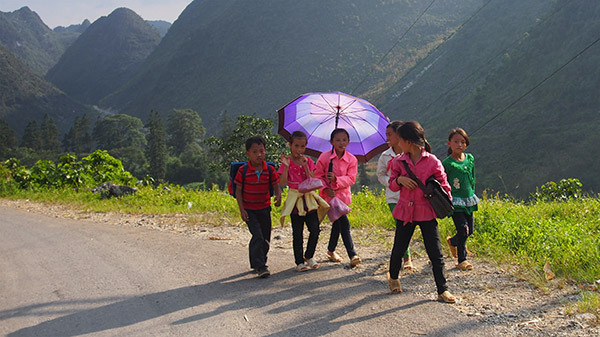 Ha Giang province is among the poorest provinces in Vietnam. 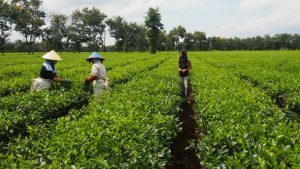 This is largely due to the lack of available farmland. The local minorities that live in these mountains are forced to adapt. There are crops everywhere. Along the road, on tiny ledges, between rocks on a small bit of soil. Every so often we would see a local farmer climb up onto the road from a very steep ledge. Sometimes these farmers were children. They would almost always still smile at us as we passed them. Different minority groups inhabit most of the area. We were told that one of these in particular is incredibly efficient and fast at hiding. A side effect from the war. 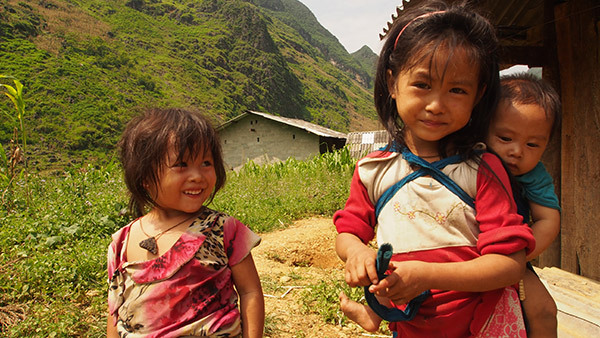 We found this to be the most welcoming region in all of Vietnam. The people here are so genuine and seemed to have only the best intentions at heart. Sometimes they would stop us and want to chat. Of course in Vietnamese. This lovely lady was curious about us. She wanted to chat to Emma. 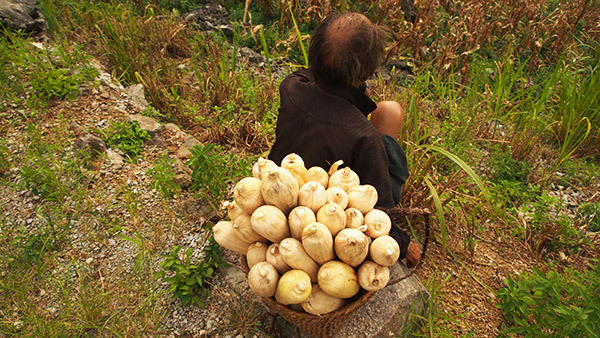 This authenticity is what I hoped to find in Ha Giang. It is what enticed me to make the tricky journey out here in the first place. 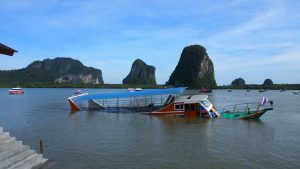 It was all very worthwhile and was the most memorable time in our two months in Vietnam. The region is a stark contrast to the tourist trodden Sa Pa. The impressions the people here have left me with will stay with me for a very long time. For most of the ride it was just us two and the roar of our little motorbike. I could not wipe the grin off my face. I savored every minute, regretting not having planned to spend more time here. We rode past workers and farmers on their lunch breaks and right through villages. No one would try to sell us anything. A faint “Hello!” or curious look was all we would get. On the way back beautiful warm sunlight lights up the valley. And later in the day the road litters with school children. Some waved back, some were a little confused and even shy. We explored another road and found the ancient palace of the Hmong King tucked away in a small valley and hidden among tall pine trees. A secluded attraction with hardly another visitor. After another perfect day, this was just the cherry on top as it managed to impress us with a very interesting blend of architecture. Exploring the palace lit by the evening sun was a perfect end to an already astonishing day. The architecture of the palace are a mixture of Chinese and local. The Vietnamese did a tasteful restoration of this palace. We rode home just as the sun was finishing for the day, which made for some great lighting. Neither of us were looking forward to leaving the next day. 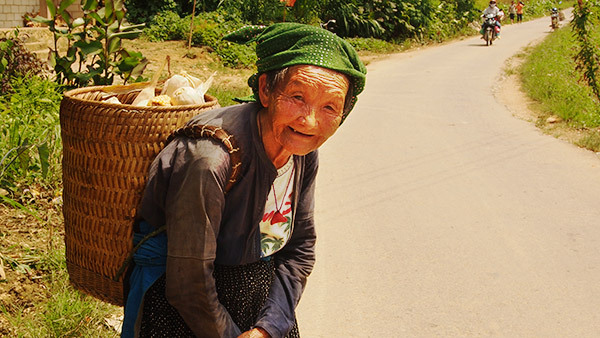 An elderly Vietnamese farmer greeted us in one of the many beautiful corners. He was enjoying the sunset after a day’s work in the field and kept pointing at what we presume was his home across the valley. 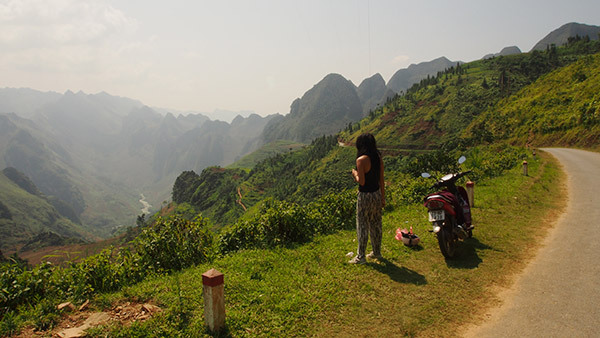 Ha Giang is Vietnam’s best kept secret. We both had the fear that we did not film enough. Our schedule was to leave at six in the morning the next day, but decided to catch the noon bus. Therefore, we hired another motorbike and rode half the pass again and spent about 3 hours taking more pictures and video. It was well worth it. 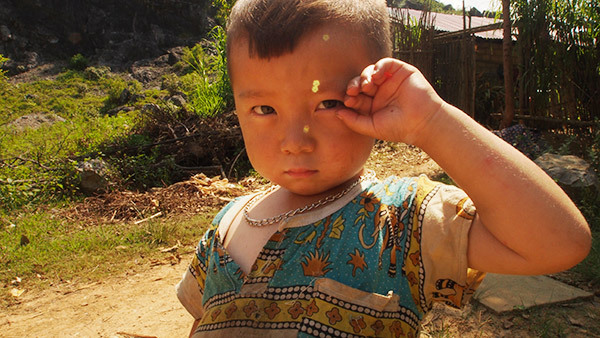 If you have time and you are in Vietnam, check out east Vietnam. Riding the Ma Pi Leng pass is stunning. You won’t regret having to navigate some of the difficulties in getting there. In other words there is always Sapa for later. Hiya, I can’t recommend any current guesthouses because we were there so long ago, but the way we found a place to stay, was we literally just got off the minivan and walked around to anything that looked like a guesthouse. I would go in, check out the place, and if it was pretty horrible, we would move on. If it was good, then we’d figure out the rate. For smaller villages/towns like Ha Giang or Dong Van, we found the guesthouses were usually run by a family who lived on the bottom floor of the guesthouse. They usually spoke little English, so probably didn’t have a website. But check out a place, and go with your gut feeling. Hope this helps! 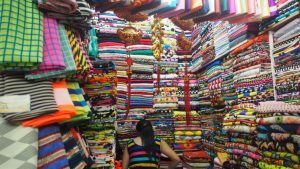 This is a great post and is exactly the type of thing i’d like to do while exploring Ma Pi Leng. How do you go about renting a motorbike in the area? Is it pricey? You can rent the bikes from your hotel in Dong Van and they are not expensive. Sometimes they will rent you their own motorbikes! Enjoy it, fantastic scenery up there. 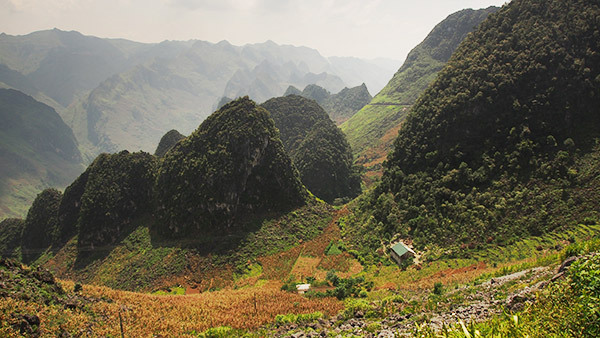 You just need to get to Ha Giang (#36 on our travel map – from there you can get mini vans to Dong Van! Have a good time over there!